From the idea to the execution. ﻿Xetronik was founded in 1999 by Tommy Dallaire and Martin Paré, two electronic designers from Quebec City. The company, which has its head office in Quebec, has realized since its inception many major projects, each requiring extensive skills in electronic circuits design. In addition to these projects, the founders each have a dozen years of experience in R&D, accumulated within various companies recognized in electronics field. Thus, through the various work in industry, they have had to touch all aspects of electronic product development (design, schematic, PCB, programming, prototype assembly, circuit startup and debug, testing, transfer to production, etc.). 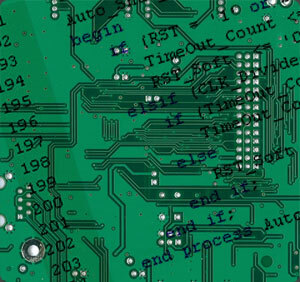 Xetronik also provides specialized services of printed circuit boards (PCBs) and technical support to customers of EDAForce inc. (CAM350 software and Blueprint PCBs). © 2011 Xetronik inc. All rights reserved.